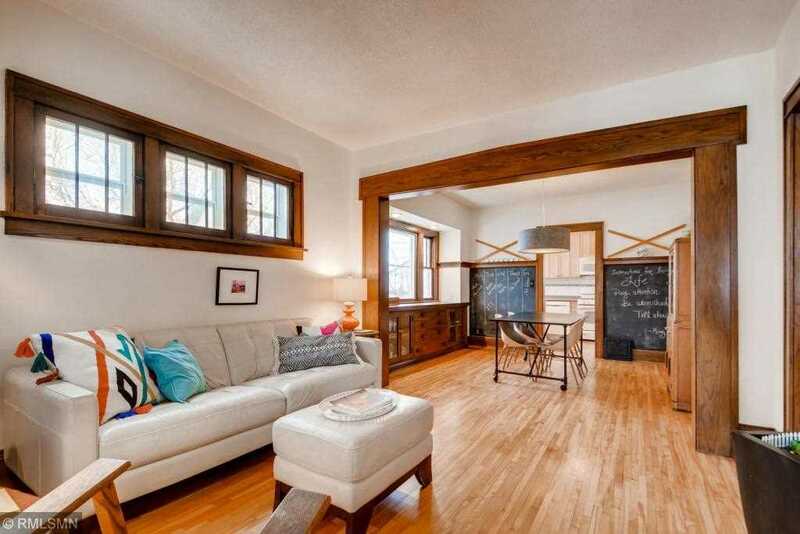 Charming and spacious home in the heart of Kingfield, there's so much to love about this one! Original woodwork, newer appliances, and windows, intuitive and comfortable layout with bonus spaces throughout. Welcoming front porch, large deck with private back yard, 9' ceilings, 5 bedrooms + tv/sitting room on the main and exercise room in the basement. Very spacious owner's bedroom upstairs with 3 bedrooms up. Don't miss this one! I was searching for a Property and found this listing (MLS #5139366). I would like to schedule a showing for 314 W 44th Street Minneapolis, MN 55409. Thank you! I was searching for a Property and found this listing (MLS #5139366). Please send me more information regarding 314 W 44th Street Minneapolis, MN 55409. Thank you! MLS® 5139366: This property at 314 W 44th Street, Minneapolis, MN 55409 is located in the King Field subdivision and is listed for $435,000. MLS® 5139366 has been on the market for 88 days.